The Pennsylvania Child Care Association is a statewide non-profit organization. We exist to be a strong and effective advocate for high-quality early care and education programs, and to give leadership and support to those organizations that assist the Early Childhood Education community, families, and children in the Commonwealth of Pennsylvania. High-quality child care is where early learning happens everyday. ​The availability of affordable, high-quality child care is crucial for all families in Pennsylvania. High-quality care reaps long-term benefits to children and society by assuring safe, nurturing learning environments. For Pennsylvania's businesses, high-quality, dependable child care allows employees to focus on work, to be more reliable, and provides a lasting foundation of early learning that will be a major factor in the skill level of future employees. High-quality child care is not just a concern for parents. It affects everyone. Our families, our businesses, our communities all depend on access to high-quality early learning. Without high-quality, reliable child care your coworker, employee, friends, relative or business associate does not have reliable child care, he or she will likely miss work, meetings, turn to you for help, or leave the workforce entirely. Receive up-to-date news & events regarding PACCA! T.E.A.C.H Early Childhood® PENNSYLVANIA Scholarship Program works with providers, colleges, and child care staff to offer scholarship programs and support systems that improve the education and compensation of child care workers. T.E.A.C.H obtains its funding through grants from businesses, foundations, and government. By helping increase professionalism, raise wages, and reduce staff turnover of child care staff, this public-private partnership brings higher quality care to Pennsylvania's children. 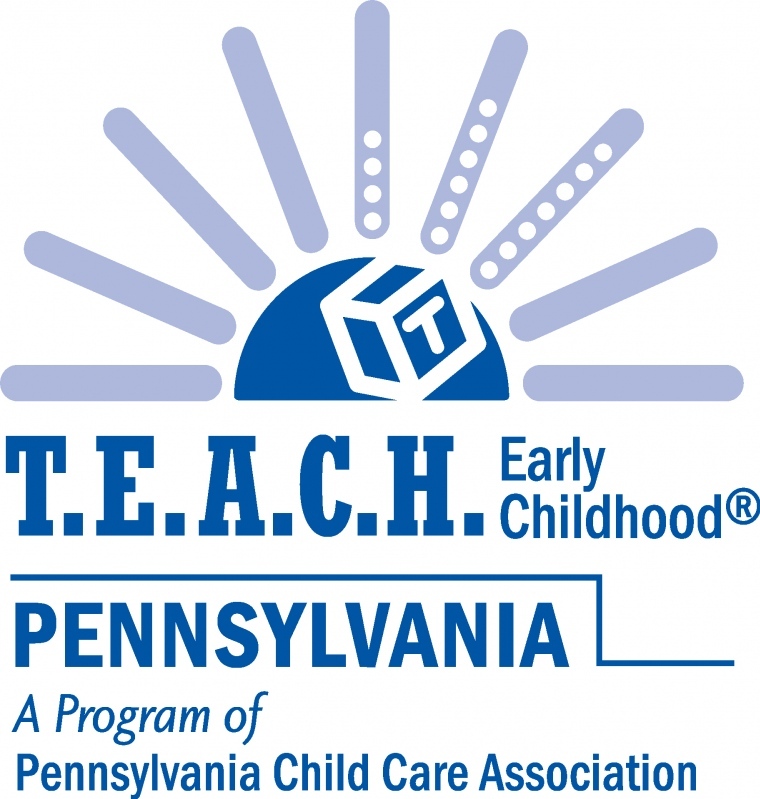 T.E.A.C.H is administered by the Pennsylvania Child Care Association.